In this Monday, June 4, 2018 photo, volunteer Carlos Salio, left, interviews people seeking political asylum in the United States in Tijuana, Mexico, just across the U.S. border south of San Diego. The Trump administration's fighting words for asylum seekers don't appear to be having much impact at U.S. border crossings with Mexico. Lines keep growing, so much that U.S. authorities can't take them all at once. The Trump administration's tough talk on immigration did not deter Telma Ramirez from making the trip from El Salvador to seek asylum in the United States. 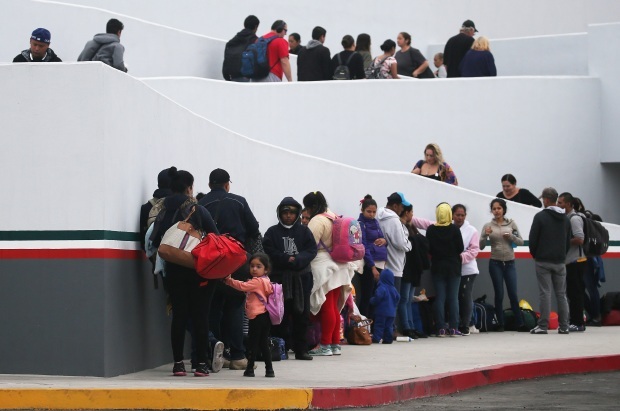 Across from San Diego, more than 100 asylum seekers gathered Monday in a large plaza at the Tijuana side of the nation's busiest border crossing, alongside taxis dropping off kids who cross the border for school and vendors selling oatmeal, tamales, burritos and smoothies from carts. Families whose numbers aren't called return to Tijuana migrant shelters to idly pass the time with their children. "You have to come here every day," Ramirez said. "If not you, lose your place in line." "Everyone knows that when your number is close, you better be here," he tells the crowd, many of them women with young children. It comes amid the Trump administration's new "zero-tolerance" policy to prosecute every immigrant arrested for illegal entry, setting off an uproar among critics because it is causing immigrant parents to be separated from their children. Asylum seekers who turn themselves in to border inspectors do not face such a fate, with rare exceptions. It is not uncommon for asylum seekers to have a wait a short time. A caravan of Central Americans who caught President Donald Trump's attention waited nearly a week. The waits have not reached levels of 2016, when thousands of Haitians overwhelmed U.S. border inspectors in San Diego and had to wait up to five weeks. The administration has become more outspoken about wanting to close "loopholes" that officials say lead to frivolous claims. They want to raise the standard for passing an initial screening and overturn laws and court rulings that make it easier for families to be released while their claims wind through immigration court. Senior White House aide Stephen Miller told reporters last month that more than 300,000 asylum cases in the immigration court backlog have "completely shattered the integrity of the immigration system, and (turned) legitimate asylum cases into a needle in a haystack." "They tell people all the time, `Get in line and wait,"' Bussey said. "These people are in line, and they're waiting." In Texas' Rio Grande Valley, the busiest corridor for border crossings, people have been seen waiting on the bridge at Hidalgo, Texas, for at least two weeks, according to witnesses and news reports. 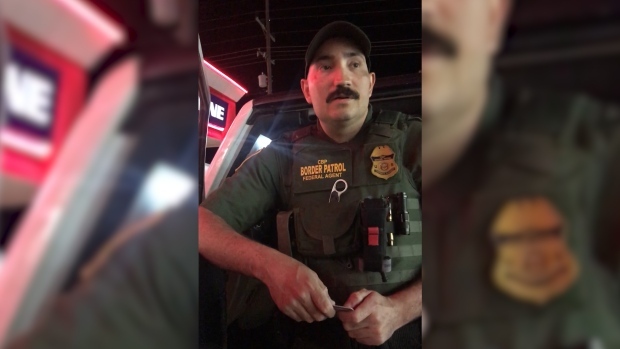 One volunteer, Esperanza Chandler, said Friday that families have been told by U.S. authorities that they have to wait because there's no room to process them. 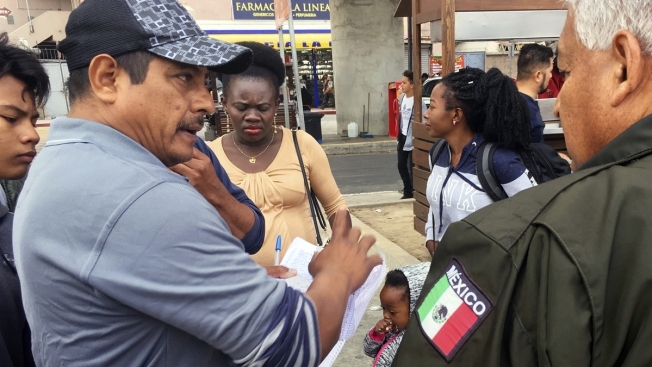 To keep order in Tijuana, activists created a system in which asylum seekers who show up at the crossing give their names, ages and hometowns. They are assigned a numbers, ensuring that people who arrived after them won't jump ahead. Blanca Estela Garcia, 31, said she fled the violent Mexican state of Michoacan because a neighbor had been kidnapped and she received an anonymous death threat by phone. She didn't know where she would go with her husband and children ages 14, 8 and 1, if they are allowed into the United States.